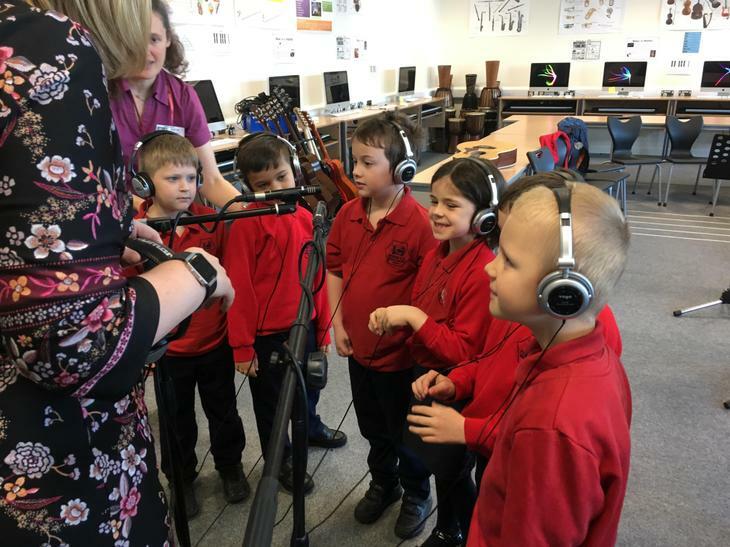 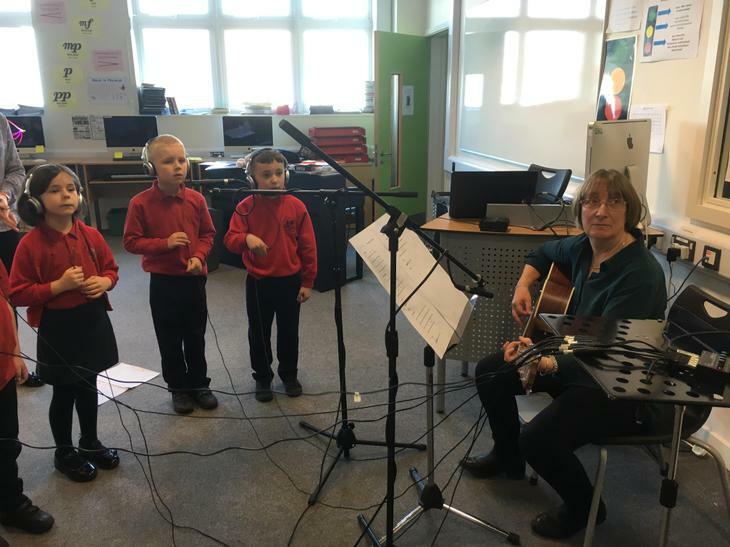 Last term some of our Year 2 children worked with Linda O'Keefe and Alice Jones from Keynote Workshops to create a song based on the Feeling Aliens in school. 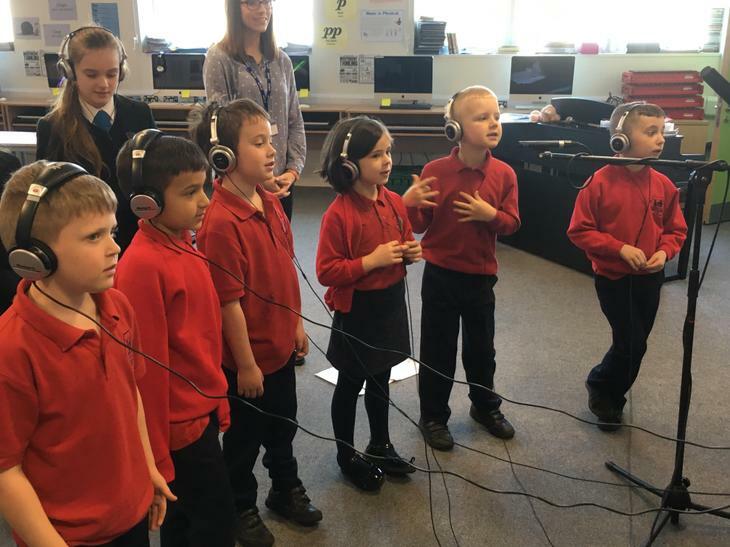 The Feeling Aliens are Pip, Exo, Zippi and Spike. 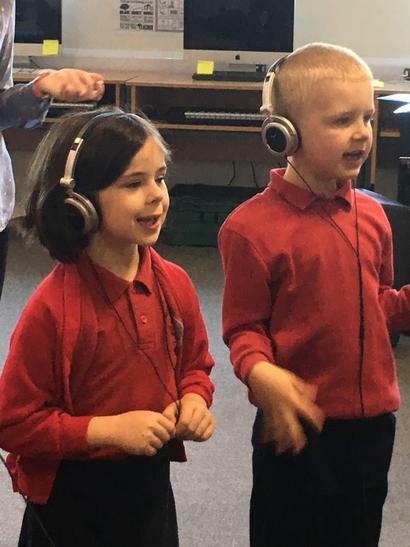 Herne staff have supported children in their emotional literacy so that they are able to use the Feeling Aliens to describe how they feel. 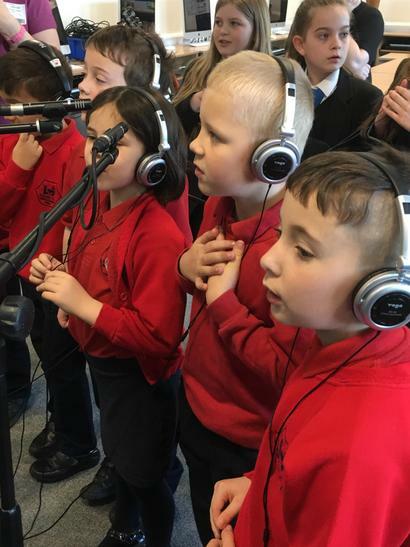 The Year 2 children wrote the lyrics to their song and performed it with help from a few of their friends. 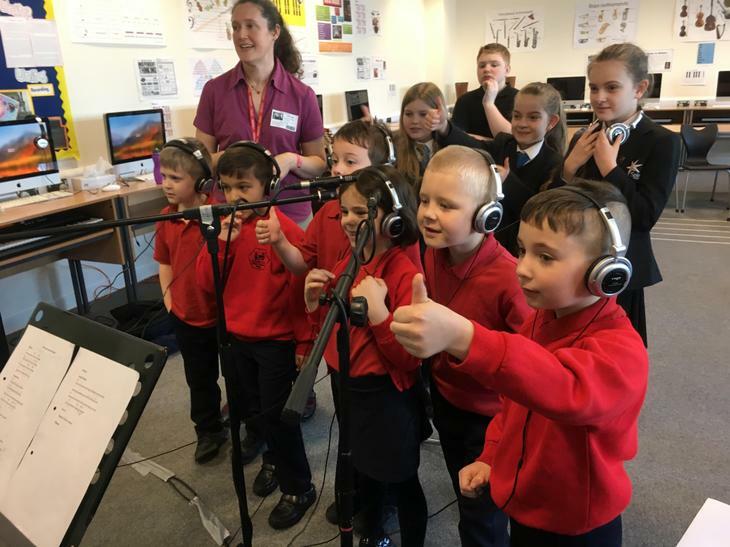 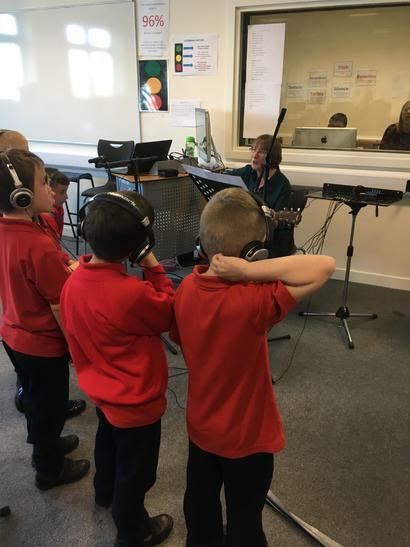 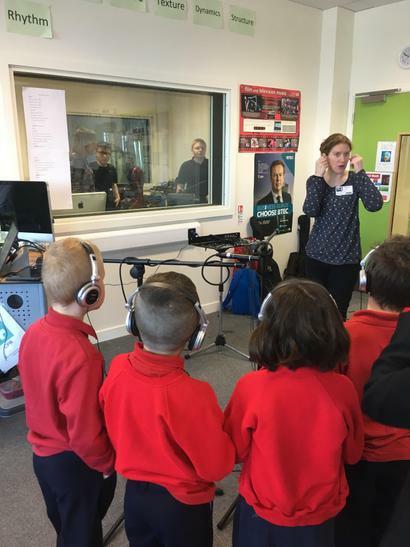 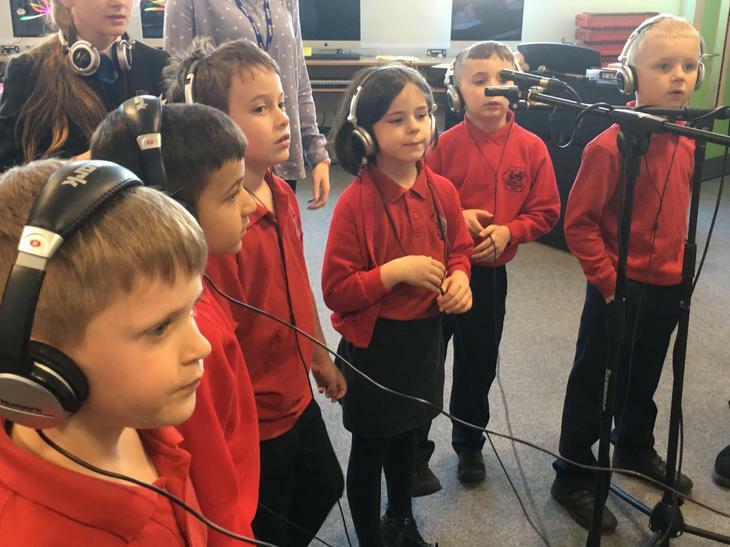 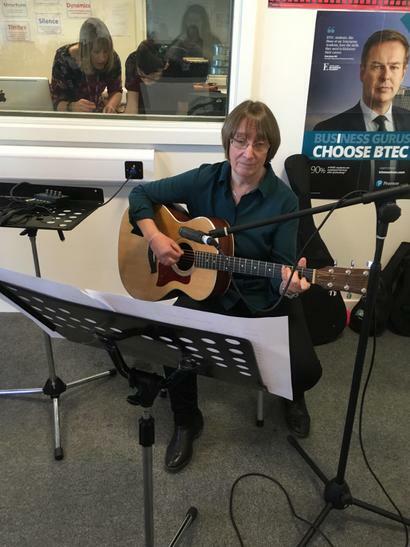 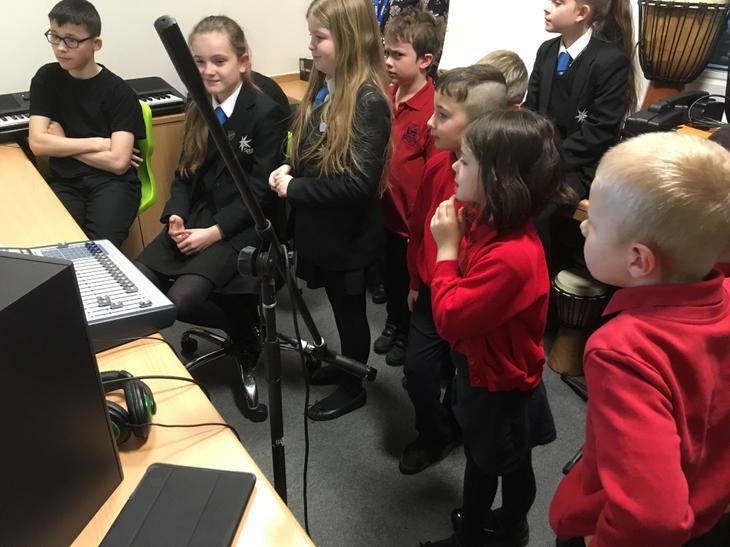 The children were given the opportunity by Spires Academy to record their song in the Spires recording studios. 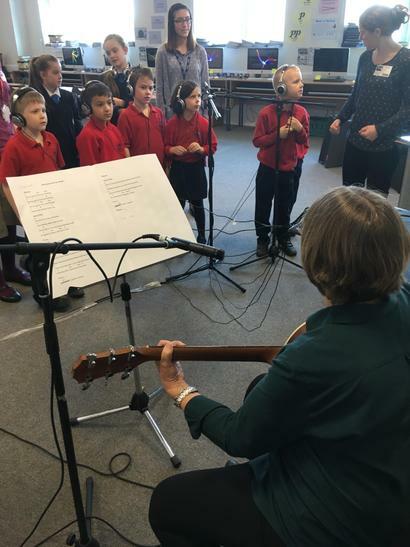 This was a new experience for all of us and a really fun one. 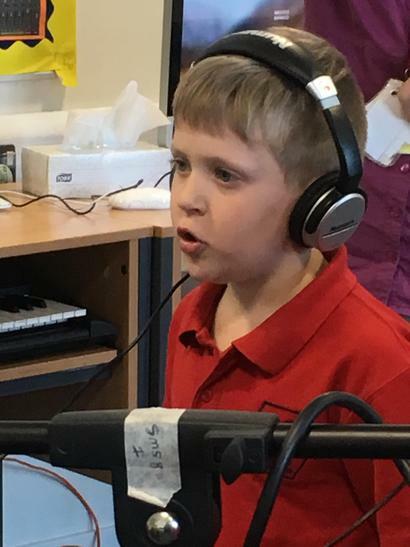 The children wore headphones and sang into the microphones while the Spires students worked in the tech room to record the song. 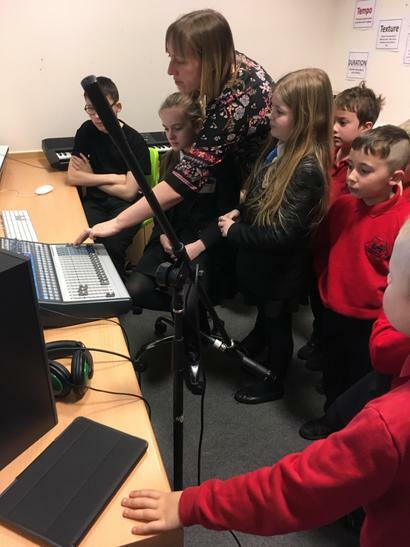 Afterwards Herne children went into the tech room to listen to their voices and to decide if it needed another take. 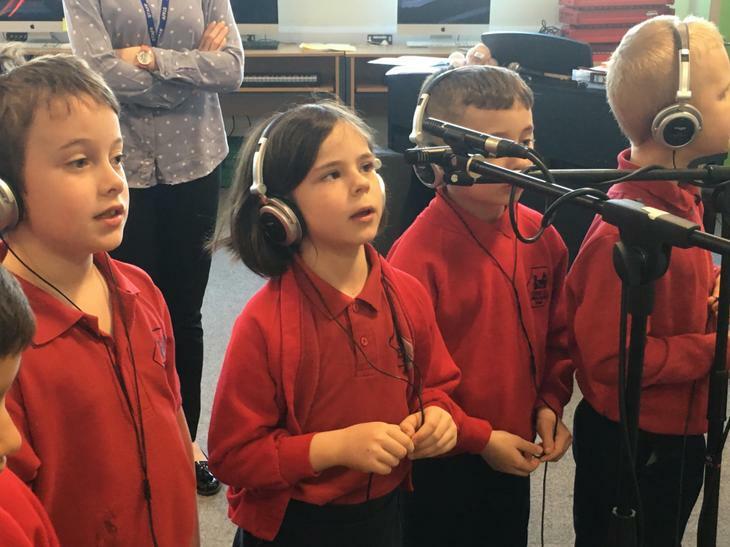 We are so proud of our children and very grateful to Keynote Workshops and the Spires for this amazing opportunity.